Every individual must plan for his/her own retirement. Only few and rare persons keep on working till they die. If we will see the current lifestyle and health conditions, it is quite difficult for you to continue working after a certain age, and that means you need to plan how to survive and fulfill your basic needs after retirement. So, if you will start the process of retirement planning at an early age, it would be much better for you as you will get more time to save money and invest in various investment products for a longer period of time. If you plan for your retirement at early stage, you can feel the 'power of compounding'. Power of compounding means, if you will put even some small amount of money regularly for a longer period of time, you will be having whole lot of money after you retire. Let us see by an illustration, if your age is 25 and you will just put $100 every month in some investment instrument with 8% annual interest rate for 30 years, you will get around $146,800 at the age of 55. Now, suppose if you will plan at the age of 35, and start investing $200 per month with same 8% interest rate for 20 years, you will get just $118,600 at the age of 55. Now you know, if you will start investing at right time, you need not put large sum of money to plan for your retirement. From the above example, you can see, if you will put $100 for 30 years, a total investment of $36,000, you get $146,800. And if you put $200 for 20 years, means $48,000, you get $118,600, yes a difference of $28,000. Now, if you have understood the power of compounding, you will not plan to postpone your investment plans and start making investments for your retirement now. 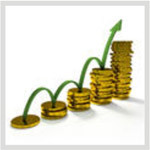 As you must be familiar, there are various ways to invest money, right from savings bank account to stock market. You need to find out which financial option is suitable for you, as per your needs and risk appetite. For this, you have to look for certain things like time period for your retirement, your risk-appetite and how much money you can invest monthly. If you think you can not plan all this on your own, you can consult some financial advisor, they will tell you everything as per your requirements and various funds are also available in the market specifically for retirements and pension plans. But, if you can do financial and retirement planning on your own, it will always be better as you will know the status of your money all the time and can rotate your money as you want. For retirement, you should not invest all your money in market-linked plans. 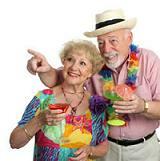 This planning is for your retirement, you need this money when you will not have any source of income. So, play safe and invest some money in safe and secure instruments also but do take care of inflation too. At the time you start investing for retirement, you can have 40%-60% exposure in equity-linked schemes or directly in stock market as per your risk appetite and knowledge. But, try not to have more than 60% exposure in market link schemes. And try to decrease this exposure with your age, as you need more security. And when your retirement age is only 5 years ahead, your equity exposure should not be more than 20% at all, better if it is in between 0%-10% range. 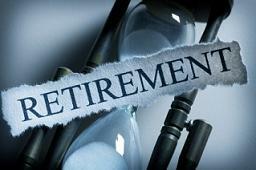 You must diversify your retirement portfolio, with the exposure in different investment instruments. You may go for some Fixed Deposits or CDs (Certificate of Deposits), some exposure in Mutual Funds. If you have option to go for RD (Recurring Deposits), where you can put money every month, it is the best option. In this option, you do not have to worry to invest money regularly as it will get deducted from your account every month. So, check out various options available at your place and chose one as per your needs and start investing to have a tension-free future and enjoyable retirement life. Download free retirement calculator to know your expenses after retirement. Contact us to get the personalized financial advice as per your requirements to secure your future and retirement life. Download free tools and calculators to manage your savings and investments. These tools will help you manage your investments better and to calculate actual maturity amount and amount you require for your retirement.